Launched in February 2017, Sky Ocean Rescue is a hugely successful campaign which aims to help protect our oceans by eliminating the use of single-use plastic packaging. 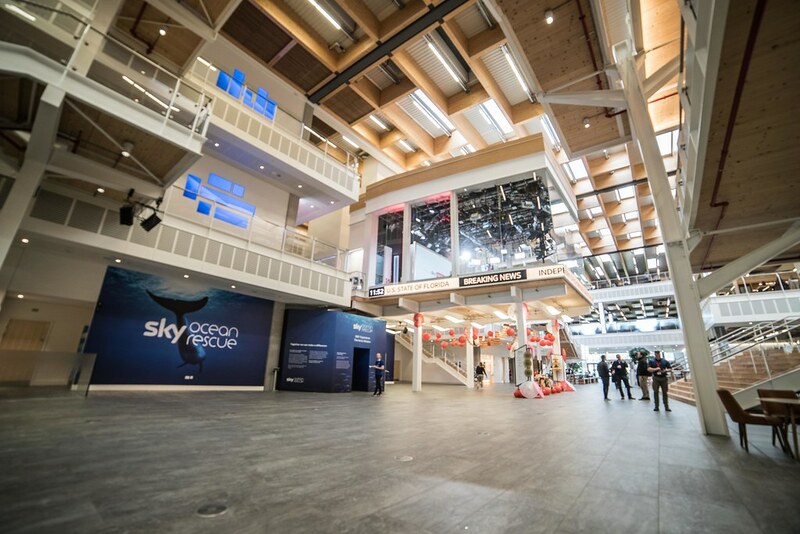 To raise awareness of the campaign among its employees and mark the successes of its first year, a prominent Sky Ocean Rescue exhibition space was created throughout the entrance to the company’s main campus - and an Igloo cylinder was used to host a 360° experience. An incredible 360° film, shot in Norway’s Svalbard archipelago, helped to show exactly how much plastic is washed up and the impact it has on the islands’ ecosystems.